How rough was the Mets weekend series against the Nationals? Well, let’s put it this way; the series started on Thursday night but the Mets didn’t take a lead until Sunday afternoon, when the Amazins salvaged one game out of four with a 5-1 victory as Jacob deGrom picked up his sixth win of the season and his first career homerun. The Mets ended the weekend 11.5 games behind the first place Nationals and even farther back in the developing NL wildcard race as they flew to Los Angeles hoping to stay relevant. With the return of Yoenis Cespedes, Steven Matz, and Seth Lugo from the disabled list, the Mets had hoped to gain some ground on the recent homestand. However, even after taking two of three from the World Champion Chicago Cubs, the ranks of disabled Mets swelled again as Matt Harvey, Neil Walker, and Juan Lagares were befelled by significant injuries. After an early exit versus the Cubs on June 14, Harvey was subsequently diagnosed with a stress injury in the right scapula bone (shoulder blade). The Mets righthander had started decently in his first few starts this season after his 2016 season was cut short by TOS surgery but his more recent results were uneven as the Dark Knight lasted six innings in only one of his last nine starts. In announcing the news about Harvey, Mets GM Sandy Alderson said it was difficult to speculate about what to expect from Harvey for the rest of the season. One of the few bright spots during the disappointing 3-4 homestand was the performance of Jacob deGrom. 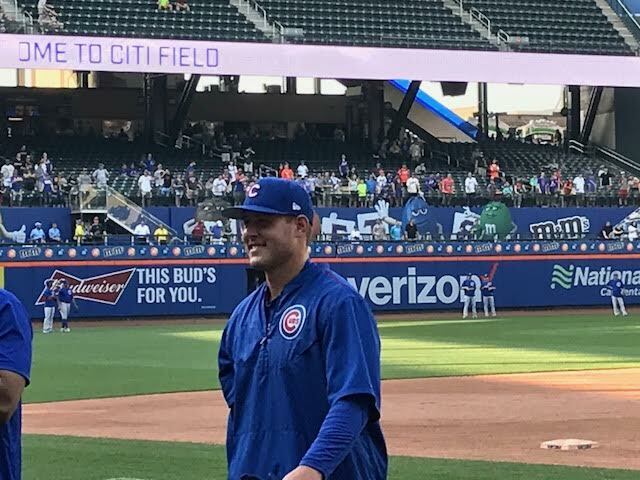 In addition to besting the Nationals this past Sunday, the 29-year old Floridian pitched a complete game five hitter on June 12 against the Cubs in a 6-1 Mets win.